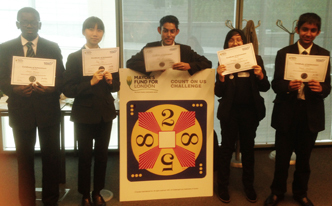 On Tuesday 12th June, a team of student Maths enthusiasts travelled to City Hall to compete in the semi-finals of the Count on Us Maths Challenge. The team got off to a tough start, winning only one game of Hex in the first round. 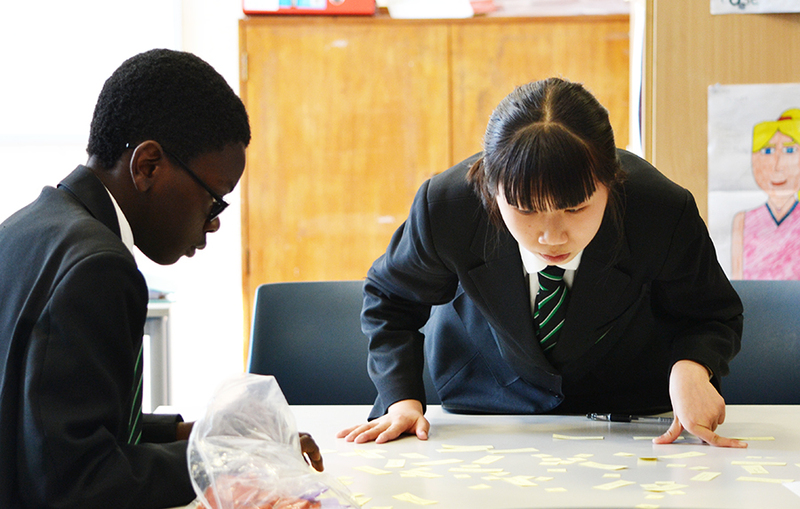 Things picked up in round 2, where the team struggled valiantly and showed great persistence, resilience and communication skills to solve 10 reasoning puzzles to keep in touch with the leading teams. In the 24th round the team turned up the heat and their grit and perseverance started to pay off. With huge amounts of style and sophistication, they consistently won their individual competitions and drew praise from the other schools. In the final algebra round the tension set in. 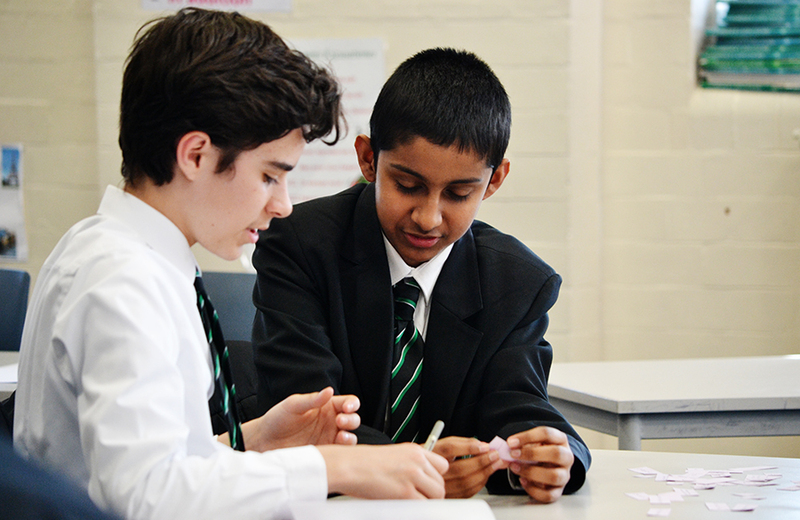 The team used theirs skills and concentration techniques to pull together and were able to show a huge improvement in performance compared to the previous rounds. The team’s preparation and hard work paid off, as they made it through a very tough semi-final that included last year’s winning team to book a place in the Grand Final on July 10th. 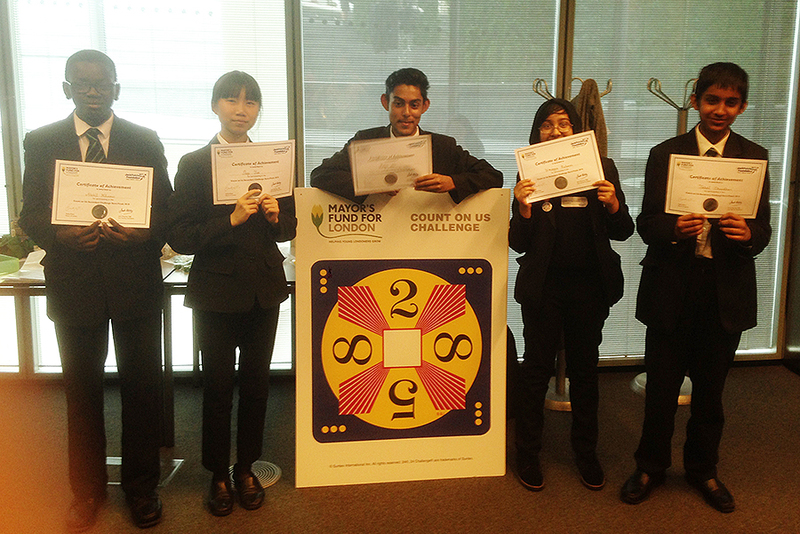 The students involved were our Caesar Cypher star Umayya Rahman, algebra whizz Siqi Jia, Mr Consistency Nabil Khamis, the team general Habib Ali and the maverick genius Jahed Chowdhuri. The team were supported and managed by two of last year’s successful team members, Siham Mohamed and Tina Yigra, who provided support, advice and training throughout the tournament. 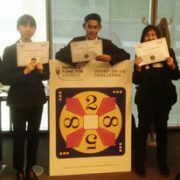 In addition to their success, the students’ behaviour, conduct and interactions were a credit to the academy. Well done to the team and the very best of luck in the Grand Final.